Figure 11-3.--Principle of X-ray generation. Figure 11-4.--Shematic diagram for making a radiograph. 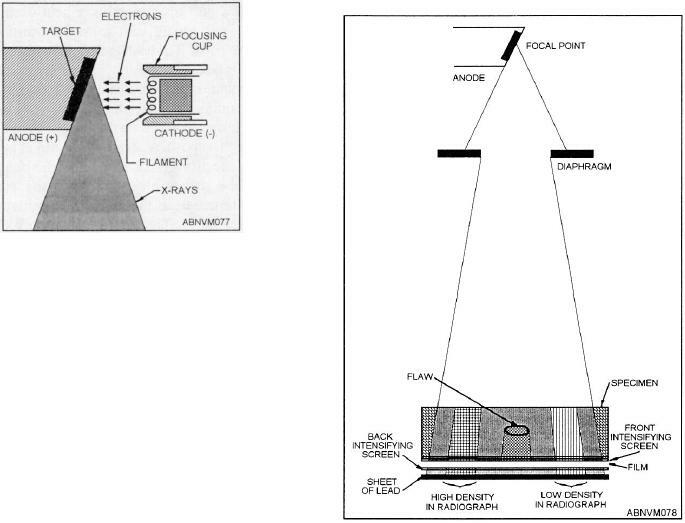 setup of the film, specimen, and radiation source. intensifies the amount of radiation striking the film. the specimen that is to be radiographed.